The 48th CARIFTA games will be held in the Cayman Islands over the Easter holidays from the 20 – 22 April 2019. Sports Media Marketing in association with Riveting Media will provide nightly coverage of the games on Cable 12 TV during the Easter Holiday weekend. 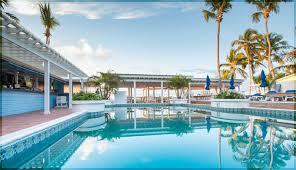 The swimming competitions will be staged in Barbados and Track & Field events from The Cayman Islands. The almost 50 year history of the CARIFTA Games carries an Olympic like vigour, a reputation of launching many big notable sports careers and elite athletes such as Arianna Vanderpool-Wallace and The Bahamas Golden Girls, Jamaica’s golden girls, the Golden Knights, Shaunae Miller-Uibo, and Jamaica’s Usain Bolt. Bahamian companies will have an opportunity to reach local and regional audiences during the games with their TV commercials. The Bahamas TV cable 12 is among 10 television stations in the region presently contracted to air the prestigious regional games in Jamaica, Barbados, St Lucia, Cayman and Trinidad. With 24 countries participating in the games and over 800 student athletes in competition, more stations are signing up daily. The games air at 8:00 p.m. – 11:00 p.m. on Easter Saturday, Sunday and Monday on Cable TV beginning each broadcast with the highlights of the day’s events then coverage from the Cayman Islands and Barbados including the Finals.